There are 2 main competitors for best bbq ribs in Denver: Big Hoss and Yazoo. Having tried both of them recently, I can say their reputations are very well deserved. Flavor -wise, both were outstanding. In the end, Yazoo fell off the bone slightly easier, but had a fattier composition, and there was just something about the ribs at Big Hoss that made me want to eat every last morsel of meat on the bones. I was sad when it was over at Big Hoss, looking closely at every bone for more. For me, that gives it a slight edge over Yazoo. Sure, there’s a lot of competition for the spot of top sushi roll, and if you ask 10 people, you’ll get 10 different answers. But, take my word for it, this one is divine. Crispy, light texture on the outside, soft chunks of lobster on the inside, drizzled in 2 delicious sauces. For $9, its mandatory to try. 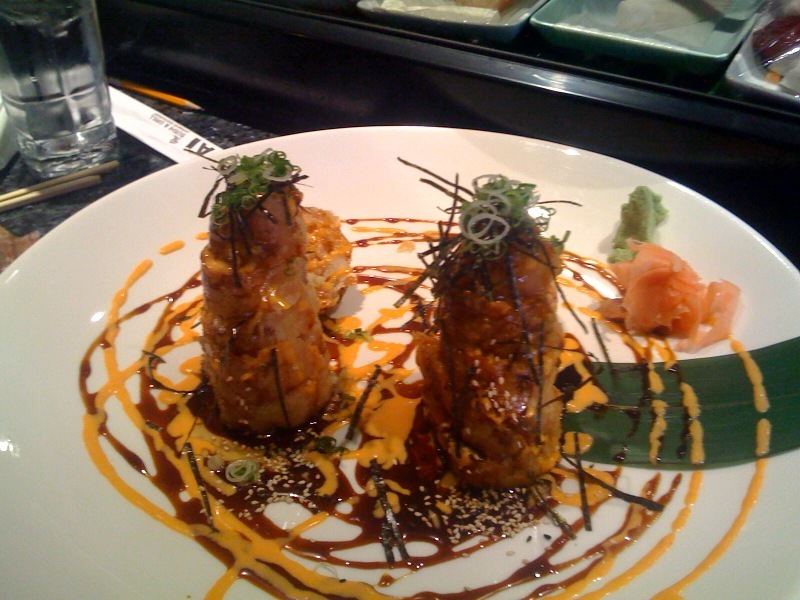 PS – In my opinion, Bara and AI have the most creative and tasty rolls in town. Not sure if I’m ready to say it’s better overall than Sushi Den, but they give em a run for their money. 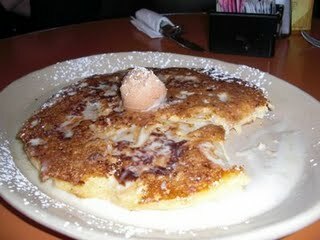 Certainly the worst kept secret in town is that Snooze is #1 for breakfast. With wait times lasting as long as 2 hours on the weekends, it’s no wonder the ultra-cool label has been lost. But for those who wait (or go during the week, people! ), the food is clearly worth it. Take their signature dish, the Pineapple Upside Down pancake: Caramelized chunks of pineapple, fluffy, crispy, hot pancake, and a melting cinnamon butter topping. Much too big for one person, so settle in with the one you love and listen for the “mmmm” after each bite. PS – Little known fact: the restaurant owner has some pretty decent street cred. He used to run The Chop House, Mao, and Sushi Den, widely considered the top sushi restaurant in town. Never heard of Chef King? 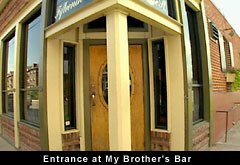 Makes sense with it being tucked away as a tiny hole in the wall in Lousiville. Not exactly prime real estate. 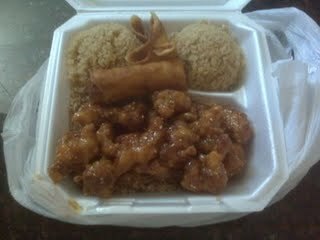 But those who have discovered it have become true blue addicts of their sesame chicken, the best in the city. Brian’s Pie is the best pizza in Denver and it’s the daily special. That’s just how good their pizza is. The special always changes and, it’s always outstanding. There are a few really decent pizza makers in Denver but, The Oven is head and shoulders above the rest. The fact that their special is always the best pizza around just means they do everything else extremely well. As with all craft pizza joints, it’s all about dough, heat, and sauce. And in the case of The Oven, they’ve taken great care to ensure the perfection of all 3. The dough is mixed on-site (you can see the mixer) and comes out thin, perfectly crispy and easy to bite into. 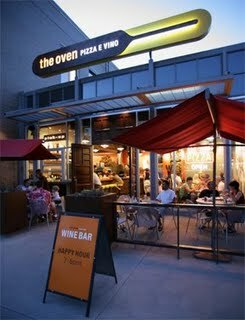 They cook in a custom wood burning oven, which produces a bubbly texture with a great smoke flavor from the wood. And their homemade marinara and white sauces are flavorful and delicious. No matter what they put on those pies, it works every single time. The Johnny Burger (single or double depending on your appetite). The secret to this burger is the use of pickles. It’s an absolute dynamite cheeseburger: perfectly cooked meat, soft grilled onions, and 3 cheeses, including jalepeno cream cheese on the bun. 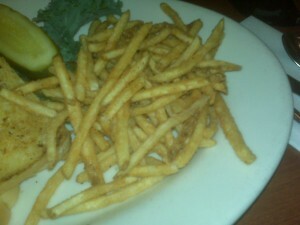 With all of that, it’s practically begging for an acid, and that’s where the pickles take it to another level. Served alongside the burger is a tray of extra condiments, including pickles, that you jam into every bite. It’s the delicious combination of fat and acid, sweetness from the pickle, and spice from the jalepeno that makes this burger the best in the city. PS – yes, Cherry Cricket is good. It’s solid. Its not gonna let you down. It’s the Honda Civic of the Denver burger scene. There, I said it. Chicken Tikka Masala, medium plus (this is the spice factor), cheese naan. On the menu, NOT from the buffet. Ahhh Indian Food. Yes, there are more expensive and fancier Indian places, but if I was telling a friend (and have done so) to go to just one Indian place in town, it’s this one. Their Chicken Tikka is flat out delicious. Perfect blend of cream and spice, the chicken is moist white meat, and the cheese naan is crisp and gooey. The flat, crunchy papadam before the entree is also pretty addicting with the red, sweet sauce.